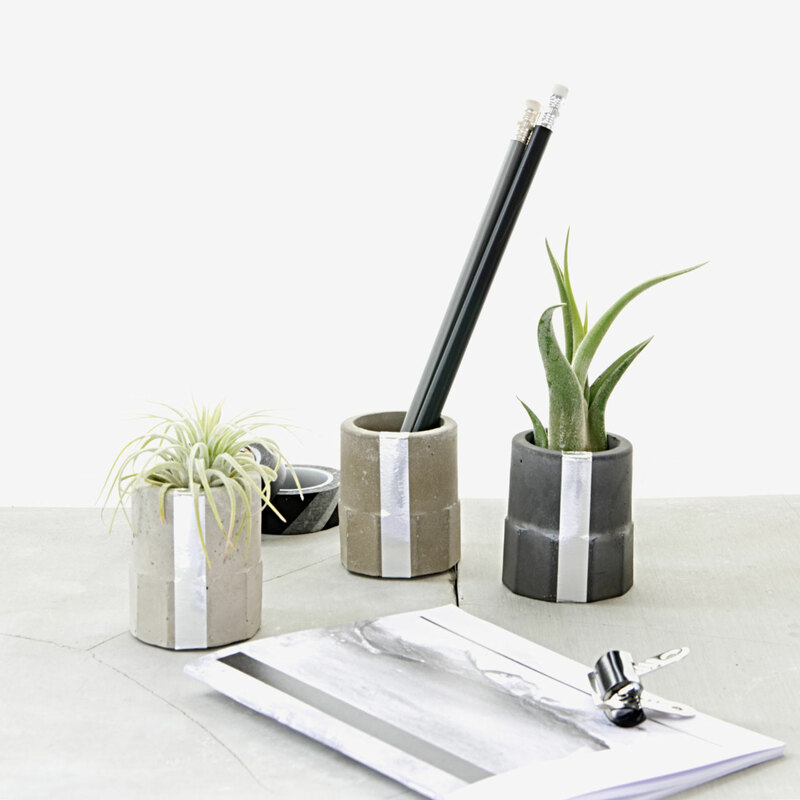 Three shades of grey concrete topped with the cool shine of silver. 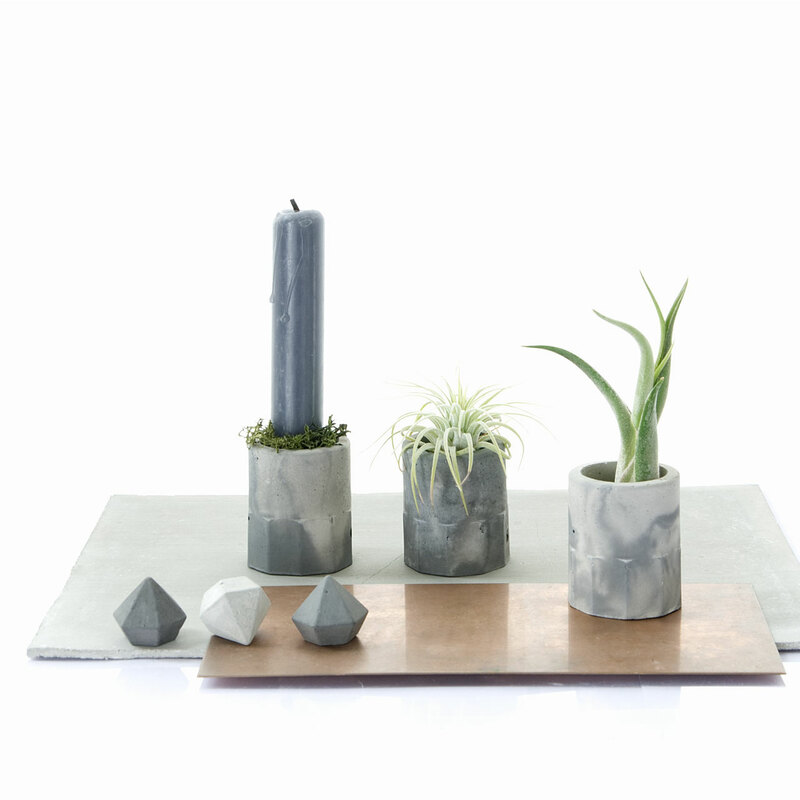 This set can hold your favourite Air Plant as well as your incense stick or pencil. 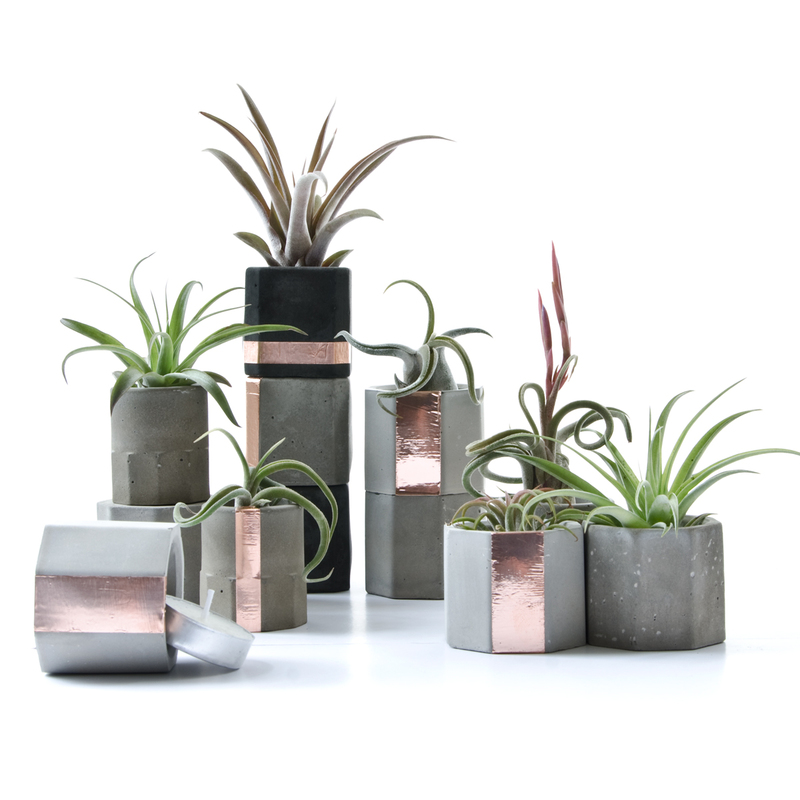 Air Plants are soil free so you have endless possibilities by placing them within the cups or around them, which makes the creation of table settings or an eye-catching shelf decor easy. 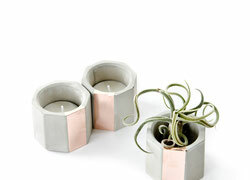 Each cup could also be a spacious candle holder which allows for a bit of moss or hygge decor. Find more display ideas in my shop. 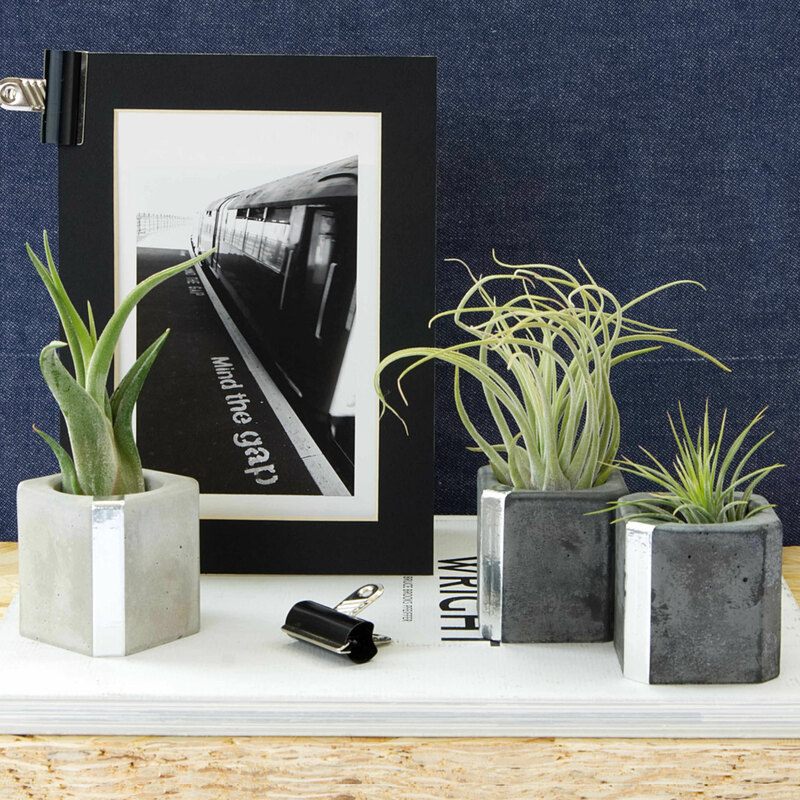 It's small to fit any space, be the perfect detail in between your picture or plant collection or a wonderful gift. Approx. 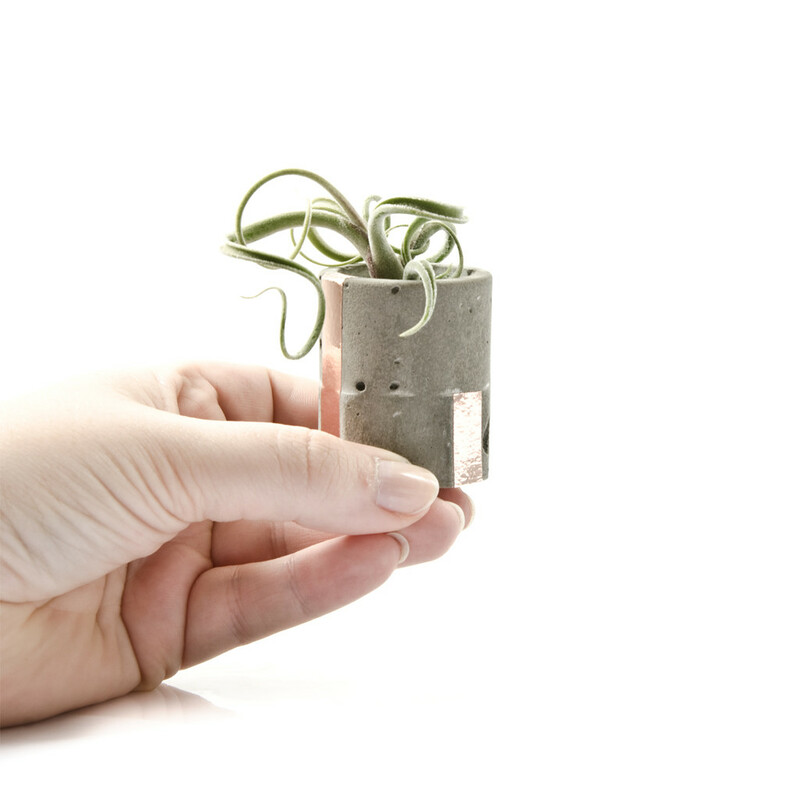 size: Outside Ø 4cm, Height 5cm; Recess Ø 3cm and about 4cm deep. 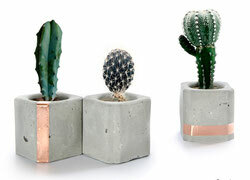 Made from: 3 shades of concrete. 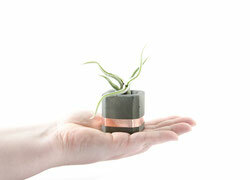 Design: industrial minimal; individually hand cast, sanded and copper attached by hand. 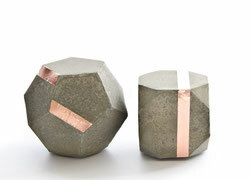 Finish: concrete not painted or waxed, copper attached as pictured, individually stamped with my name (PASiNGA) on the base. 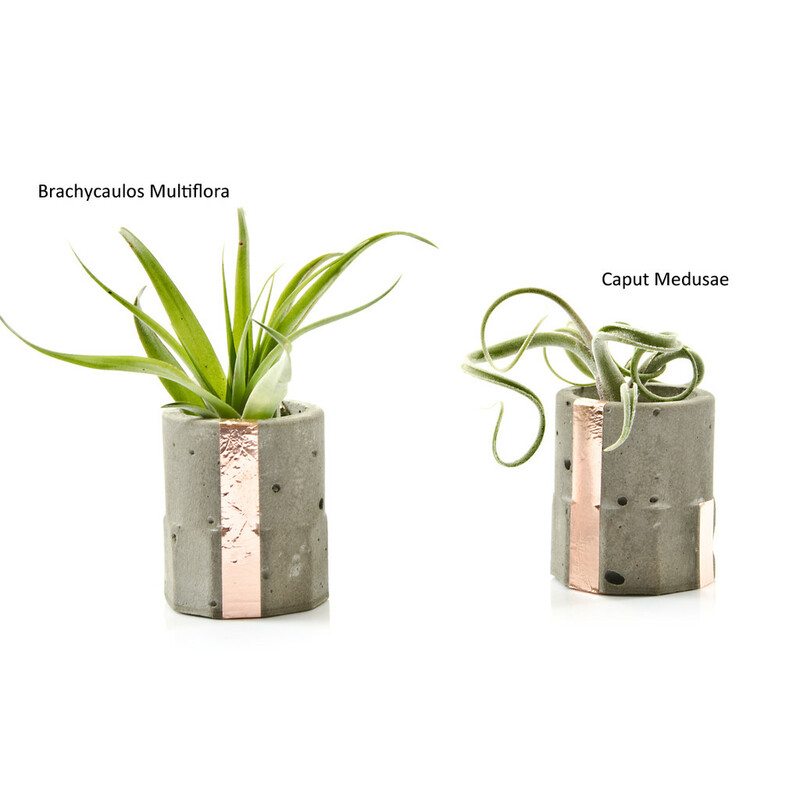 Air Plant Caput Medusae: is a beauty, thick channelled leaves in light green to blue purple with this wonderful icy charm of grey hairs. Once placed in its concrete planter the spectacular snake like winding and curling starts which creates a beautiful sight. It is one of the most widespread, hardy species. 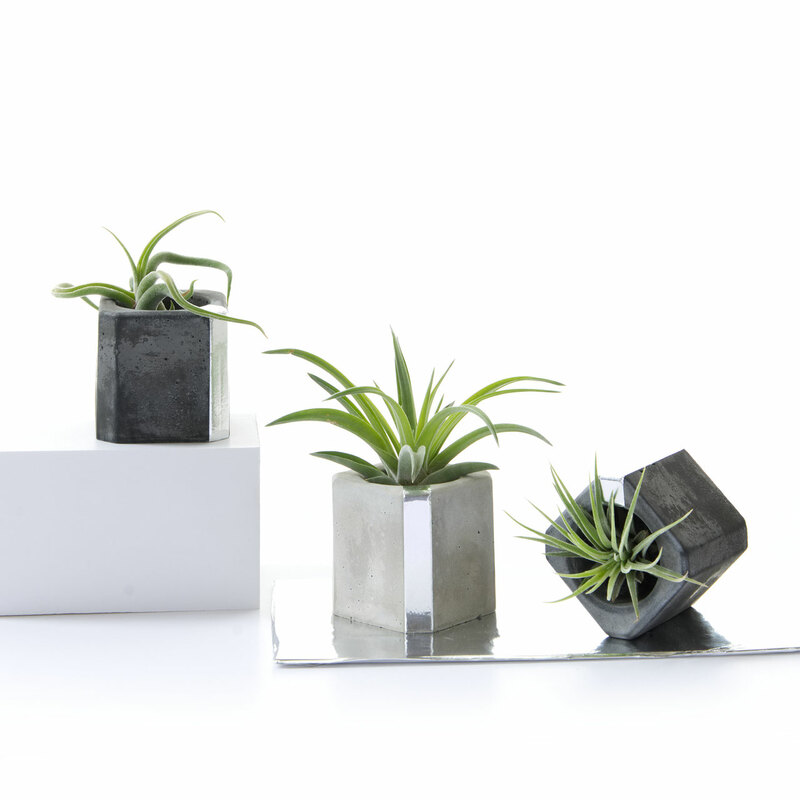 Brachycaulos Multiflora Air Plant: is a medium to large plant which can grow up to 20cm high, but its size varies greatly. The foliage is numerous, as it grows it opens up with leaves bending slightly. The leaves are green but colouring intensively red in strong sun at bloom time. 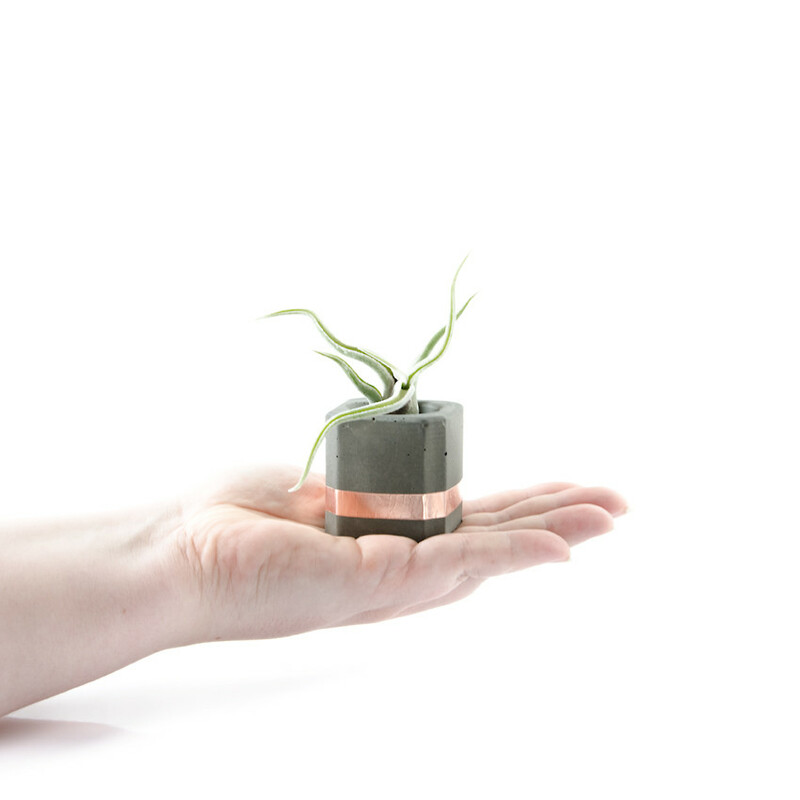 Ionantha Rubra Air Plant: is very delicate and fairly small. The leaves form a dense rosette, which opens up slightly. The leaves are green and turn pink at the tips. 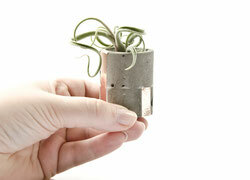 Moss is also available as well as other Air Plants in my GREEN section above. Another design option is below, enjoy! 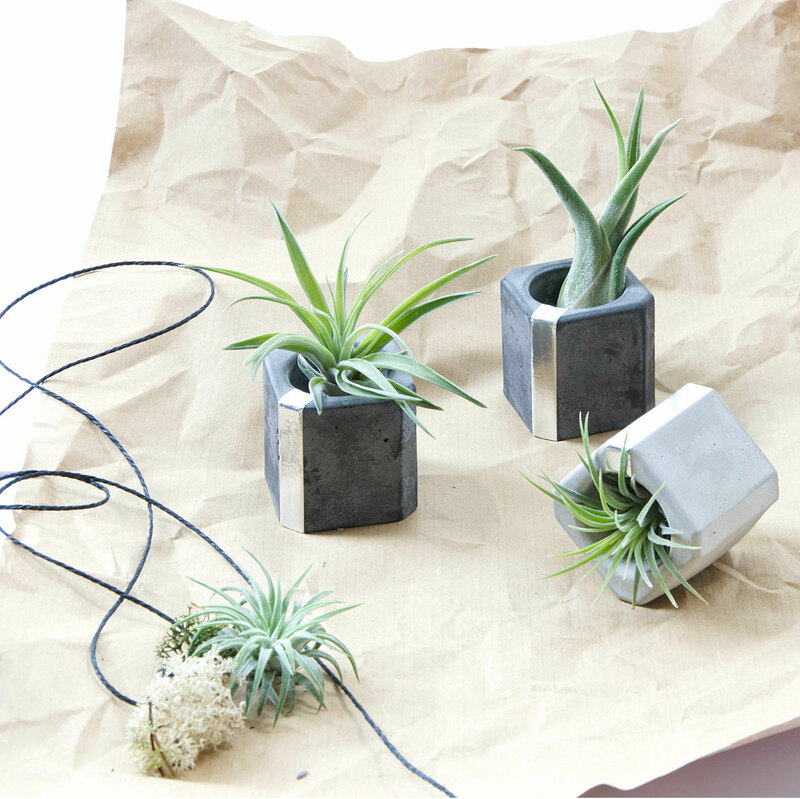 Note: Sets with Air Plants can only be shipped within the EU due to shipping regulations. Thanks for understanding. 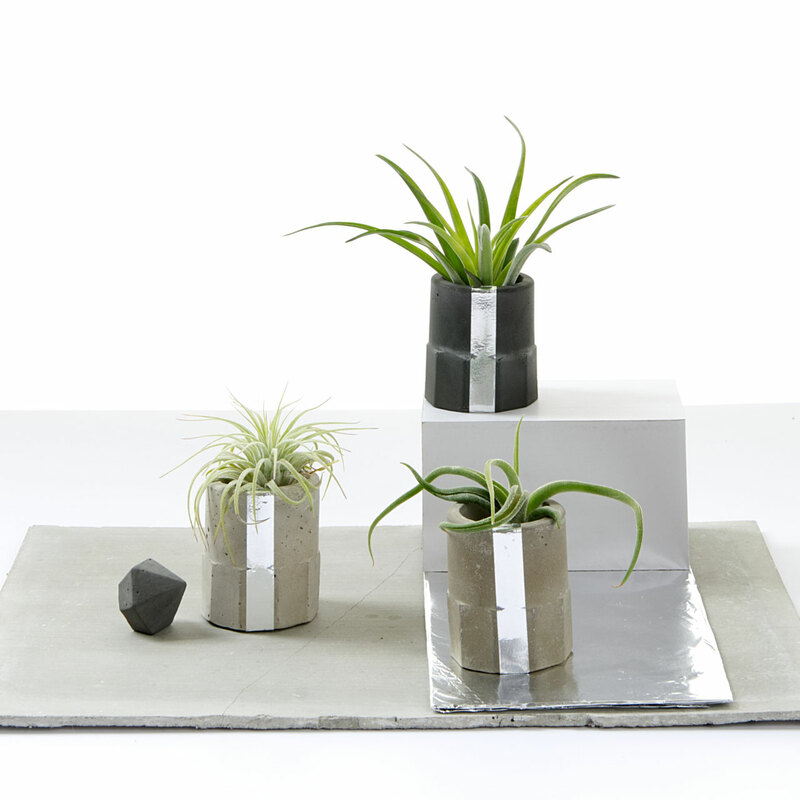 Monochrome concrete, silver and trendy Air Plants - what more can a micro indoor garden call for? Endless possibilities of displaying this set and making use of it. 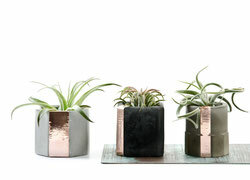 Stack them on top of each other and put the plants around them, as Air Plants are soil free you won't create a mess. 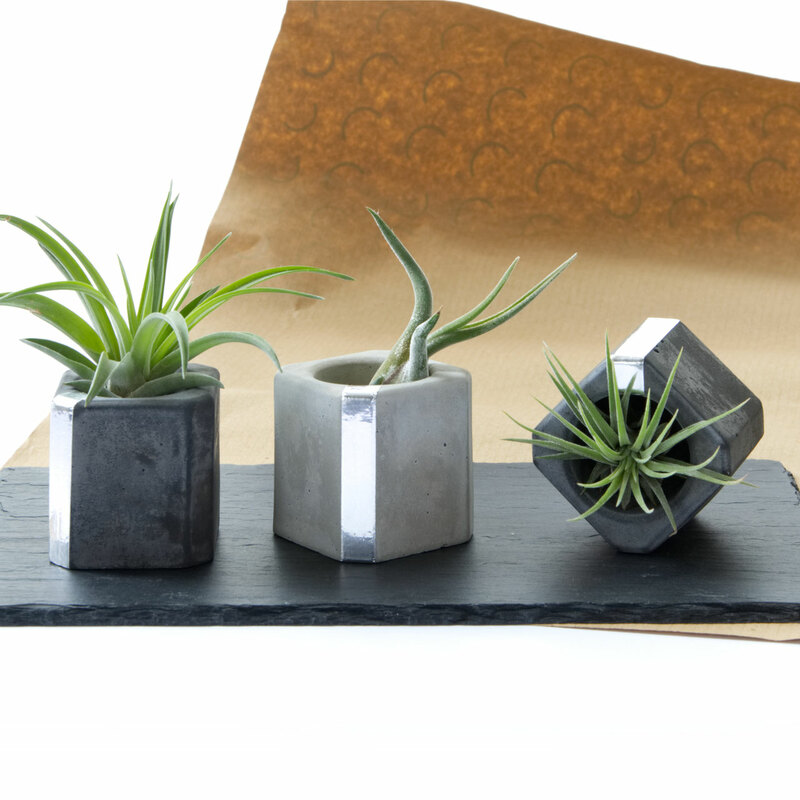 Nest the three together on your desk to lighten your workplace or create an eye-catching talking point on your dinner table or sideboard. 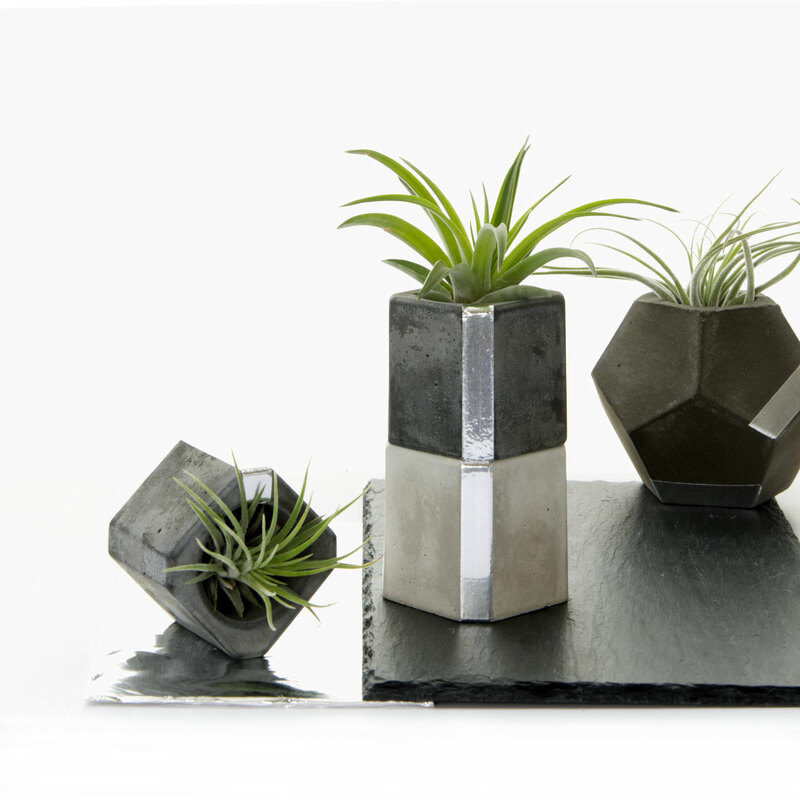 This petite set is perfect for compact living spaces and will keep your home decor rooted in minimal contemporary charm. 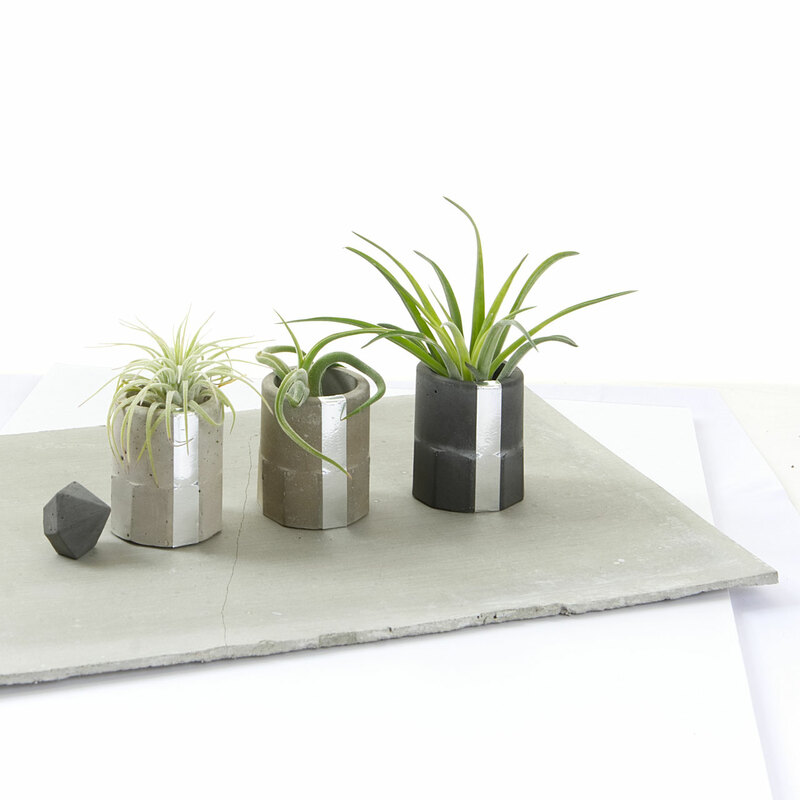 But it could also be a wonderful gift for a design or plant fan! They make thrilling party or wedding favours. Please feel free to contact me to discuss your wishes. 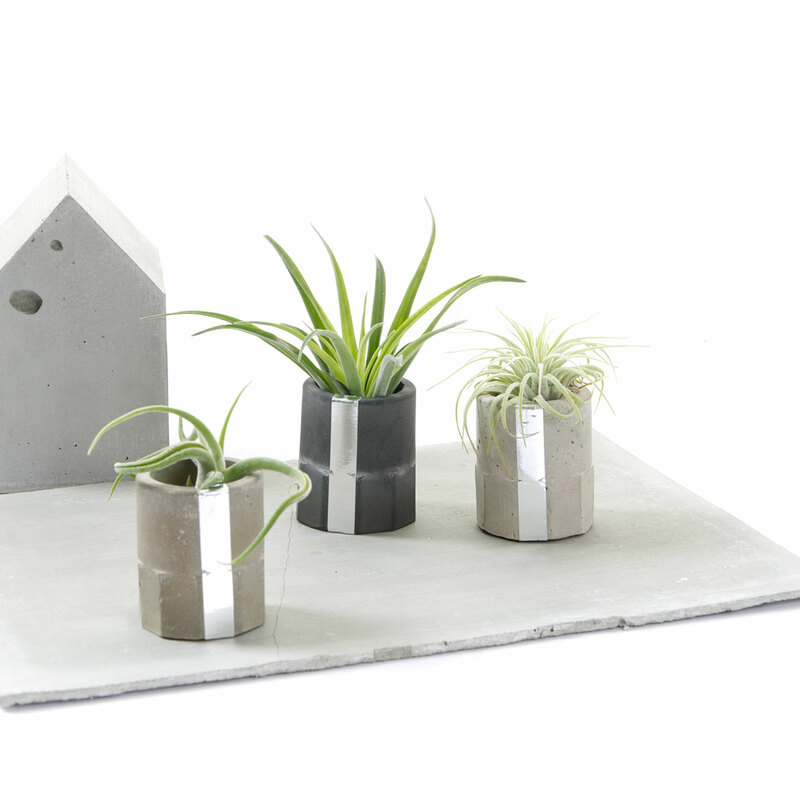 Finish: Smooth concrete is sealed but not painted or waxed, individually stamped with my name (PASiNGA) on the base. 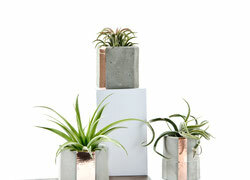 Moss is also available as well as other Air Plants in my GREEN section above. Another design option is above, enjoy!